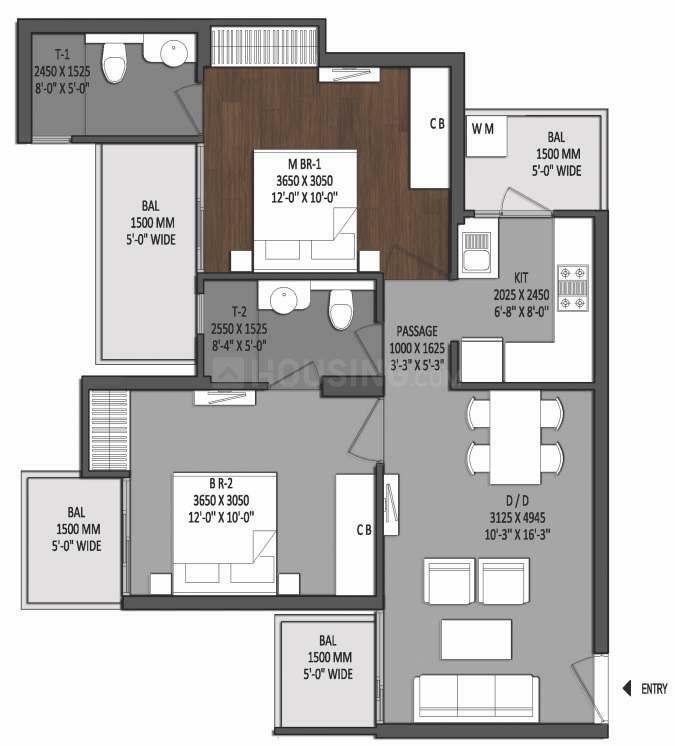 1050.00 sqft. - 1500.00 sqft. SHRI RADHA AQUA GARDEN aspires to achieve harmony of water and greens by creating visual openness and pleasant environment, providing a space for leisure and comfort for its residents. Small water bodies are scattered on the entire site for charm and tranquility. 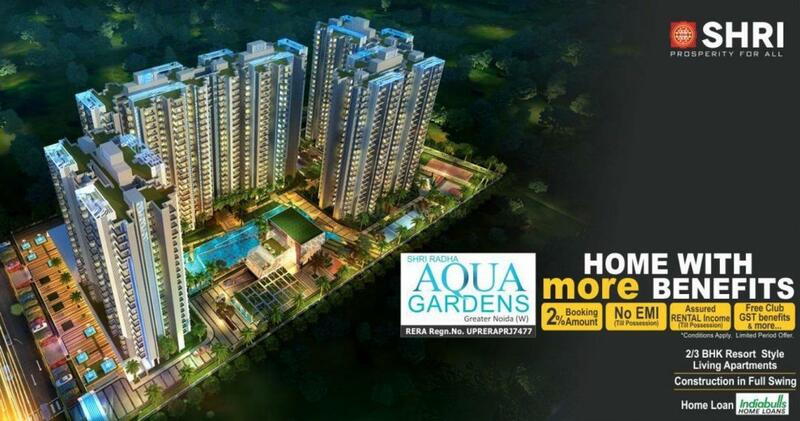 Every home in SHRI RADHA AQUA GARDEN offers one or more of the most scenic views. The landscaped garden is dotted with specially planted trees and well-designed fountains. Flowers are never out of sight. The azure water bodies ensure, every time you look out of your home, the view is breathtaking! Carpet Area : 592.01 sqft. Adjacent to Noida and at a mere 18 kms distance from Delhi, Greater Noida (West) is a prime example of an integrated satellite city. Enhanced infrastructural facilities like wide roads, an excellent drainage system and vast tracts of landscaped, pollution-free green belts have transformed Greater Noida (West) into a world class city. Located in Sector 16B, Greater Noida (West) the nearest Metro Station is Noida City Center, while New Delhi Railway Station is 27 kms and Indira Gandhi International Airport is 38.2 kms.Noida Extension, known to be an extremely peaceful locality, is well connected via rails and roads to the other adjoining parts of the city. 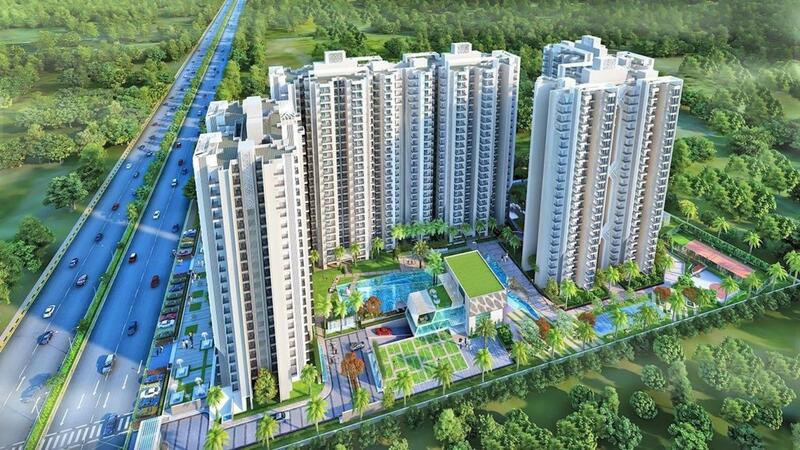 Linked to Noida, Greater Noida and Ghaziabad, it is located in the Gautam Budh Nagar district of Uttar Pradesh. 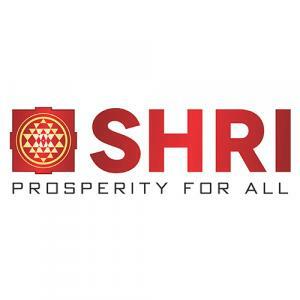 It conceptualizes the requirements of a rapidly developing area and has emerged as a modern, integrated and well planned industrial locale that is well connected to Delhi through national highways, ultra-modern flyovers and a strong network of roads. Being a highly integrated township, it offers facilities for all activities ranging from Industrial to Commercial and Residential. 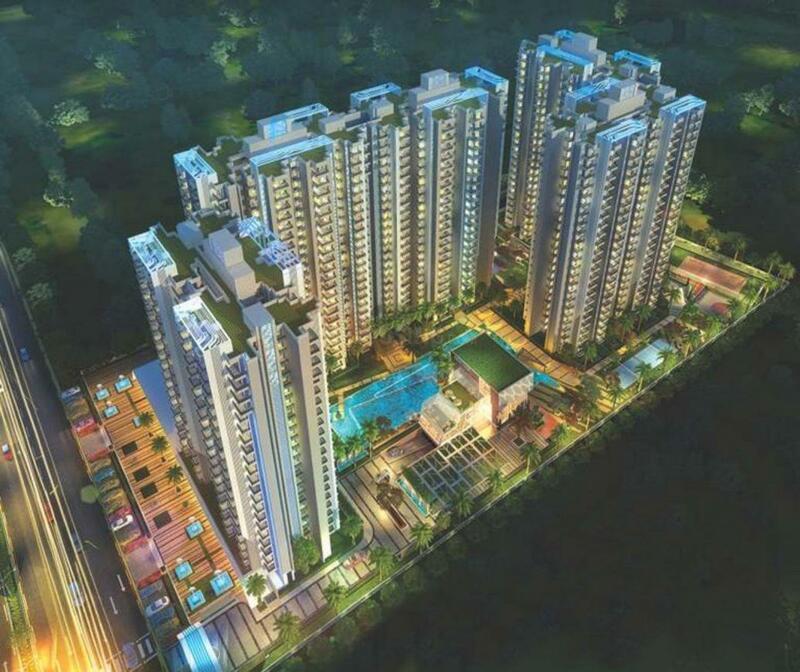 The area has its own geographical advantage as it is bordered by Noida on one side and Greater Noida on the other. With direct connectivity to the NH 24 (Delhi-Lucknow Highway), the region easily gets linked to Lucknow through the cities of Ghaziabad, Hapur, Moradabad, Bareilly, Shahjahanpur and Sitapur. To enhance the connectivity of the region, the Noida Authority is speeding-up the work on Faridabad-Noida-Ghaziabad Expressway (FNG). Moreover, the connectivity of this area has received another boost with the extension of the existing City Centre Metro line to the Noida Extension. The locality witnessed huge growth on account of systematic infrastructure developments along with planning for the creation of a lot of residential and commercial spaces in the region. The place houses various schools, banks, hospitals and ATMs, which makes your life much more convenient as compared to other areas.